I meant like the characters: Ira, Maddog, Conrad, Iggy, and et cetera. You do not hire them from the laptop screen. ah ok. no no , a new AIM merc. I'm already able to replace an existing AIM or MERC (with proedit and bioseditor) but I would increase aim merc. now, How I can set up correctly all coordinates? Your frame preview is pretty much useless, because a) it's jpeg. b) you got sloppy when doing the cutouts and c) You broke something when you sclaed the picture (It could be caused by the jpeg algorithm as well). The edges of your cutouts have a grayish tone, which will make the animation look horrible. 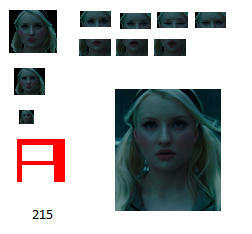 The coordinates of eyes and mouth are the coordinates of the top left pixel of your cutouts, when they are put on the face. My coordinates are correct. Make sure, that the game reads the coordinates from the correct file. That is, if you read them from xml, don't change them with proedit and so on. The 90x100 file is of no use, when you want to create an aim merc. So there is no need to put it in the faces folder and also make sure, that you enter the correct coordinates. That means, when you use the 48x43 picture, use the coordinates from 48x43. 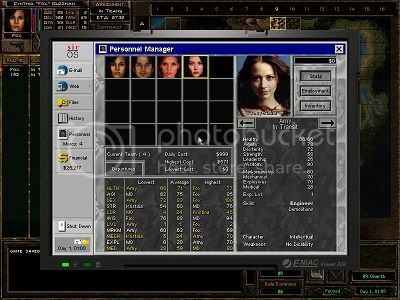 Another way to check, if the coordinates are correct, is to use "Face Viewer.exe"
When you want to determine, what the coordinates of a face are, load the facepicture in a graphics program. Crop the background to the size of the image, if necessary. Paint the top left pixel of the animation frames red. Now paste the animation frame over your face image and move it to the correct position. The coordinates of the red pixel are the coordinates you are looking for. How I can know where game read coordinates? whith Face viewer I try your 48x43.sti, and animation work good. but, where I must put right coordinates? in wich file? PS. I've tried also my Machete with Face viewer, and it's really nice ! u've to see it! ok, so any change like pants colours, name coordinates, are taken from this file? good, now I try. here's my file . try it! It's very nice! 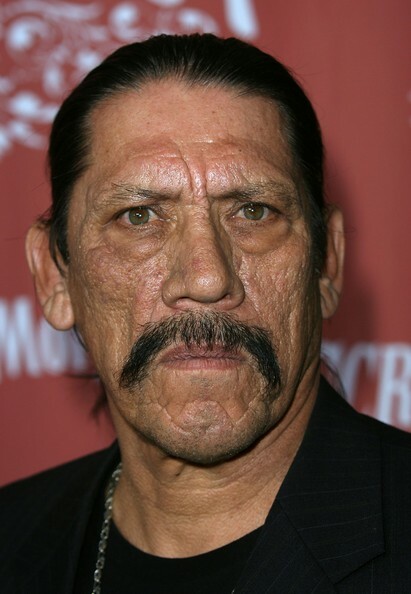 anyone tested my machete portrait? I think it work very well! for speech, it's reasonable use movie audio parts? I understand. thank's for reply. do you know how I can reproduce this kind of picture? please enjiy it and rate it! file contain : 31x27 , 48x43 , bigface and coordinates txt. Hi, I'm new to the forums. Love 1.13 by the way. Not sure if this is on topic, but I created a custom face from photos of Kristina Asmus. Not sure if you'd be interested in hosting it somewhere. I've added an example of the face from a screenshot. I hired Fox and MD to give some comparison how it looks next to an original JA2 face. To be honest, I don't know if taking someone's photo from the Internet and turning it into a game resource is considered legal, so I'll pose the question here as well. I've always thought that Amy Acker was fantastic as Kelly Peyton in season 5 of Alias. So much so that I thought it'd be nice to see how she'd fit in with the crowd in Arulco. Here is an in-game screenshot with her as an IMP mercenary. Here is a close-up of the BigFace file. Another comment: There's something weird about JA2's display of the portrait in-game. You can see from the screenshots that her face seems much brighter in-game, while the actual brightness of her face is lower outside of the game. Compliment, the faces you created for Kristina and Amy are looking really promising! Not sure if you'd be interested in hosting it somewhere. So if you are interested in this suggestion just upload the files you want to share with the community to a temporary free hosting service like megaupload or mediafire or send me your files via email (scheinworld@web.de) and I will upload them into a new "KindlyOne" folder. Could you create a 90x100 face for your faces as well? The reason why I ask you that is that so they would be also suitable for new created RPCs or NPCs in any JA2/UB mods. I've sent the files to you via e-mail. The package contains the STIs for the following sizes: (BigFace) 106x122, (Face) 48x43, (65Face) 31x27, and (33Face) 15x14; the coordinates for the eyes and mouths are included in a text file. I've also included non-STI bitmaps (BMP and JPG) showing the faces so people browsing the site can see what the faces look like without needing to download it and view it using an STI viewer. I don't have the 90x100 animated sizes because I didn't intend for them to be used as RPC or in-game NPCs that you can meet. I'll see what I can about making a 90x100 version. I'm not much of an artist (being colorblind and working with just a plain old mouse,) so I can't make any promises. Actually, I do have a question about the eye-mouth coordinates for 90x100 portrait. Where is that set? I know the coordinates for 48x33 portrait is stored in the profile or IMP portraits XML file, but I don't think those coordinates would necessarily match that used by the 90x100 portrait. Or do they? Edit: Never mind. I've figured it out. For all RPCs and in-game NPCs, the merc profile covers the coordinates for the 90x100 portrait. 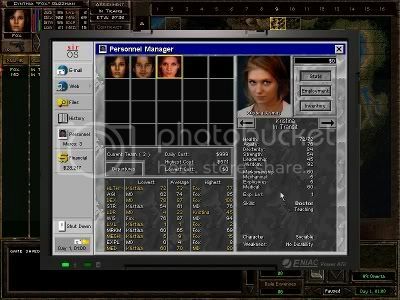 The game requires an additional file for the small face, RPCFacesSmall.xml which gets used when the NPC is recruited - this covers the coordinates for the 48x43 portrait. I've just done the 90x100 file for Kristina Asmus. I tested it out on Fatima (for obvious reasons,) and it works pretty well. Here's a screenshot cropped to just the conversation dialogue box with Kristina so you can have a look-see. Man, it's creepy seeing Kristina's face and hearing Fatima's voice come out of it. By the way, Amy Acker's a tough one because she smiles in almost every photo PLUS she usually inclines her head in some way. This makes for tough work animating any of her photos (or a very long search for a suitable photo.) The ideal photo I look for is what you would call a driver's license photo - neutral expression, head upright and not tilted, looking directly at camera. Thank you for the faces file you sent me and for the time and effort you put into this, which even included the 90x100 faces for Kristina and Amy I've asked you for! Special thanks for that! Cheers, Scheinworld. I checked out the links. They look good to me. Just did a new pic for IMP 209, maybe somebody likes it. Here's the zip file, it contains 33Face, 65Face, BigFace and normal face. I do like it. Nice job. I switched it to IMP 214 though as my 209 was already being used. If anybody would like to use it for 214 as well, I went ahead and uploaded it. Same great pic. All I did was adjust the eyes and mouth graphics to fit 214. Nice job on these recent pics! It's good to see the face section getting some more attention. What faces do these new faces replace? I'm not sure who 234 and 235 are. I'm getting alot of what seems like too much contrast. I've imported the color pallette from each individual picture (I was switching it too other PCs in the game). First it was over contrasted, Then I adjusted the contrast way down. It's still seems over contrasted. Not sure if it's actually a contrast problem per say. Any body else getting this? It could just be particular to the programs I'm using. The faces IDs 234 and 235 are just IDs that I chose to avoid conflicts with existing IDs. They don't replace anyone and are really meant to be IMP/AlterEgo mercs. As for the contrast problem, it could be my monitor that caused it. All I know was that I had to darken the original image for it to work in JA2 - without it, the image was too bright in comparison to the other characters. But bringing down the image brightness caused other problems. Basically, I adjusted contrast and brightness so that it looks okay on my monitor. I hadn't considered that my monitor could be off in terms of visual balance. It may not be your monitor. This happened once before with another character. When I look at your picture above, it doesn't seem like your contrast is up that high. In the game, the female IMPs are 208 - 215. The first female IMP pic is 208. After that, you have to count them out as you scroll through them. Other than my strange contrast problem, I think your face mods are good! You should make some more. I noticed this one wasn't in here. I do not want to take credit. I did not make this face. In fact I've had it so long I can't remember who made it. If someone knows who it was, then they deserve to be mentioned because this is an awesome replacement for Ira. In fact, I think that this should just go in the next 1.13 product as we are all probably sick of Ira's stock face. This face was originally created by Extropianer and shows lovely actress Sophie Marceau. Later an improved version of this face was released by Wulfy301. No, I don't think so. Don't get me wrong, Extropianer did a great job creating this face and I like it very much, but I'm totally against the idea to include any Hollywood stars into the original v1.13 which should be a modding base! So it should be and keep the users and the modmakers decision to use any alternative faces or face packs like Buggler did that with his BPP Mod. Every one of us has his own taste (see the 'Who is you favourite merc?' discussion) and that's okay. Personally I have nothing against Ira's original face. I think it fits her character and (German) voice quite well, but for all of you who don't agree with that such alternative faces were created. It shouldn't be the concept of v1.13 to include any mods or modded files like new faces (apart from essential bug fixing of course) and force their players to use them without the opportunity to keep the "original flavour", my opinion. If you hadn't pointed it out to me that it was actually Sophie Marceau, I wouldn't have known it. I never heard that name, nor seen that face before... so for me it's no Hollywood star. I think Sophie Marceau isn't the "typical" Hollywood star, but I'm not sure what does that even mean exactly, because I've never met one of them on a personal level so far. Cool points for the first person to name that chick. Does she have a bite attack? On another note: There is really no point in creating just the 48x43 pictures. It's a lot better to create a 90x100 picture, animate it and rescale this picture to create the 48x43 and the others. This way, you can create an NPC as well at virtually no extra costs. So, I'm like the discount modder. I'm using MS Paint and MS Word. I've got to scale first with Word, then animate with Paint. If I scale afterwards with Paint or Word, the picture comes out too different. Looks horrible in game. I'm scaling with Word vice Paint as it holds the picture quality better. I'll keep playing with the color. Haven't found that sweet spot yet. Sometimes I'll use MS Office to change some of the picture color (hue/sat) before I start playing with it. It's hit and miss though. The numbers are different in MS Paint. What I could really use is someone who wouldn't mind taking a base picture and giving it JA2 color via a better program. Then I could animate it. Someone else did the pic originally and I just animated it. Have you tried using GIMP? It's free, and much more useful for image editing than MS Paint. I'm not sure how it works with JA2's limitations, though. I actually watched that movie for the first time last week! Loved it! I was noticing all the slow mow picks of her face and realized it would make a good game face. I may try again with a different pick. Some of the other scenes aren't so blue. Previous Topic: JA2 Editors can be found here!